Receiving a commission check is what all Affiliates look forward to. So we have compiled the most frequently asked questions to ensure you are always in the know when it comes to your payments. First and foremost, make sure you have submitted your W-9. Payments are sent out on the 20th of every month, for the previous month’s commissions (unless the Merchant has opted for an extended lock date). So, commissions that you earn in January, for example, are eligible for payment on February 20th. If the 20th falls on a weekend, payments are sent out on the following Monday. 3. Why didn’t I get paid? Read Help Center Topics: How do I know if a payment was sent? to verify that you were not already paid. If a payment transaction is present, read the payment hasn’t arrived help topic. Check your Account Minimum: In the Edit Your Accountpage. The default is $50.00, but it can be set higher. Verify that your account balance was over your minimum at the end of last month. Special Note: Remember, the “Your Current Balance” field includes transactions from this month that are not yet eligible for payment. Take your current balance, and subtract all of the transactions for the current month. This value needs to be over your minimum before a payment is issued. 4. How do I know a payment was sent? Every payment is listed in your Activity Details report. The easiest way to find them is to only show transactions from Merchant 47 – ShareASale.com. Activity Details report with transactions only from ShareASale.com (https://www.shareasale.com/a-accountactivity.cfm?merchant=47). You will also notice your balance decrease when a payment is issued. You can also use the Past Revenue Report to display historical payment information. However, this report is only updated once per month, so recent payment information will not be shown. 5. What should I do if my check is made out to the wrong person? Checks are made out to the “Organization” listed in the Edit Your Account page. If you have received a check that you cannot cash, you should send the check back to us, and request that it be re-issued. 6. How long does it take for payments to reach me? 7. How do I get a replacement check? We have a 90-day cancellation policy. 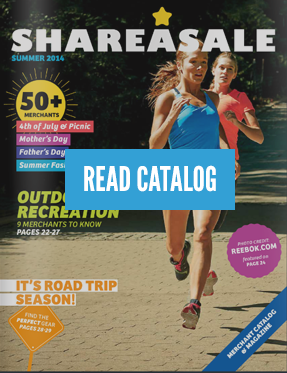 Unless returned to ShareASale, checks cancelled within 90 days from the original issue date have a $35 cancellation fee. If you wait until after 90 days, we can cancel your re-issue your checks free of charge. Always make sure your address is updated within your ShareASale account. 8. 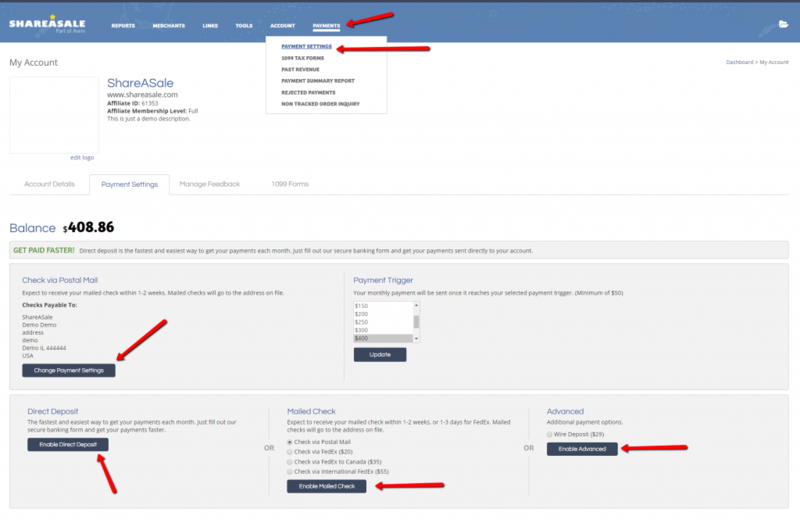 What is Payoneer and how do I set it up? Payoneer is a prepaid Mastercard that gets credited with the amount that they make. It gets loaded each month for the amount that their ShareASale payment is. You can also set up Payoneer to receive payments electronically. We could bring the check back to your account balance to be paid out on the next pay date by Payoneer. Under the “Advanced” window, choose Payoneer. If the Payoneer service is not available in that window it is due to the fact that ShareASale does not support payments of that method in your specific country due to the availability of Direct Deposit ACH. 9. How does direct deposit get re-issued? We will notify you when a direct deposit does not go through inside your ShareASale account. The notification will be on your “To Do List” under “Needs Attention”. You will have the option to update your direct deposit information and then request for the new direct deposit to be resent. If you have any other payment questions, please contact our Client Services team via the ticket system from inside your account. Go to “Help” Submit a New Ticket. When you will have CROATIA listed for direct deposit? You can use Payoneer for South Africa payments. Is Ukraine going to be listed for direct deposit? I get my YouTube (Google AdSense) payments through direct deposit and it works just fine. For direct deposit from USA to Singapore, does it mean that I must have a US$ account in Singapore to receive payment? Or there will be conversion rate charge by the banks of both countries from US$ to S$? I am curious how soon after order do merchants post the sale and commissions due affiliate.